It's on clearance when I write this. It's a great deal at the regular price, and on clearance it's basically a giveaway. I have a plain brass one. Yes, it has the sharp cutouts, and if you don't like that sort of thing definitely stay away (I like it; YMMV). Otherwise, it's a classic design with good balance and just the right amount of momentum. A little smaller than you'd think from the pictures, which makes it very comfortable, and the mass distribution gives it strong gyroscopic effect. I particularly like the bell-like way it sings when spinning, and the buttons have a rough etched design that makes it easy to hold. It's a great two-lobe and highly recommended. 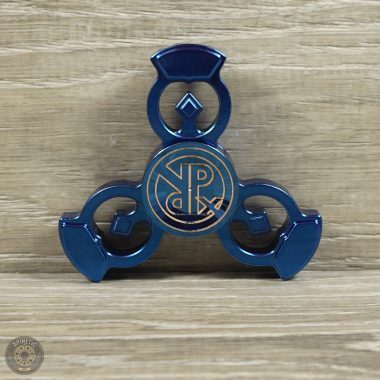 Great bar style spinner! smaller than I thought. i got the rainbow version, and i have to say the electroplating is really nice. maybe due to the overall brushing, it looks just quite worthy. also it spins very well. no issues so far. BUT it really is full of hotspots. the edges around the cuts are so sharp, that it is not fun at all to fidget with this. i, personally enjoy pronounced edges. but this spinner is just a little too spiky. i had not expected it would be this much of an issue. looks awesome, spins well, but is not quite fidgetable. 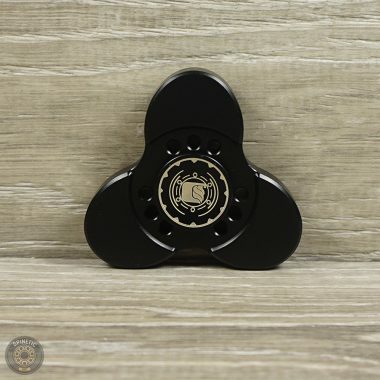 the only comfortable way to fidget with it, is to spin it vertically with your index finger along the sides, so you don't get in contact with the cuts. Just got my dapper in electroplated black and am super happy with this spinner. Haven't had it 2 hours and just can't put it down. Great customer support by the way. 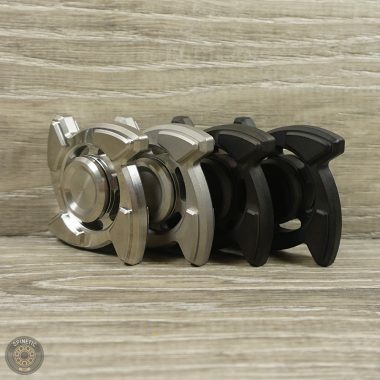 If you like 2 arm spinners and are looking for something reasonably priced themed I'd definitely give the dapper a go! I've had th is spinner for about a week now and I absolutely love it! This was a huge upgrade from the cheap plastic ones they sell at gas stations. 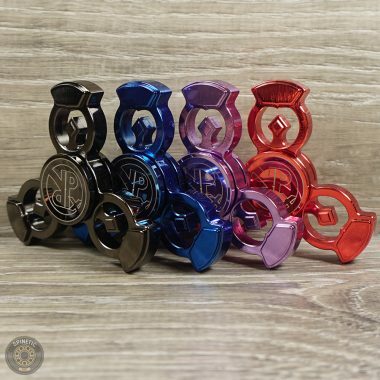 The weight is nice and the spin time is great, and the slight metal ring it makes while spinning is very soothing to the ear. 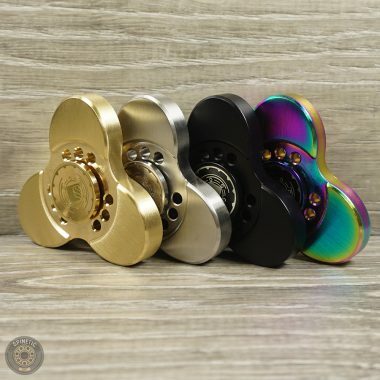 I will say however that there a tons of hotspots around this spinner, the chamfering on the raised pads does help but unfortunately it isn't enough, but I won't write this spinner off just for that reason. 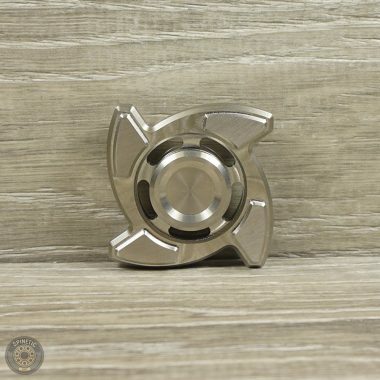 Overall I would very highly recommend the Dapper to anybody looking for a low cost bar spinner!